Last Updated: July 6, 2018 | Subscribe to our weekly newsletter! If you think you already know how to drain a hot tub (just pump the water out, right? ), you’re already missing an important step that could save you a lot of time and money spent troubleshooting endless water chemistry problems. And once you learn how to clean your hot tub correctly, you’ll help prevent filtration issues and prolong the lifespan of your spa. In some ways, your spa is like a big bathtub, except you don’t drain it after every use, and you soak in the same water as a bunch of other people. If you’re not cleaning your hot tub correctly, you’re in for some pretty gross surprises. Eliminating buildup while treating your spa surfaces with care is easier than it sounds, and you don’t need a degree in chemistry to do it. Before you change your hot tub water for the first—or fiftieth time—learn how to drain and clean your hot tub the right way. You’d think you could just pull the plug, let the water out, and then put new water in. The correct method isn’t quite that simple, but it’s not that difficult, either. One way bacteria can survive in your spa despite the sanitizer you add is within a sticky substance that forms in your hot tub plumbing called biofilm. Even if your sanitizer levels are right on target, your hot tub can develop biofilm. Bacteria feed on it, while also using it as shelter from your chlorine or bromine. That same bacteria ends up in your water, eating up chlorine and exposing you and other bathers to contaminants, such as Legionella, which causes Legionnaires Disease, Staphylococcus aureus, which commonly causes hot tub folliculitis, and E. coli, which can cause intense stomach illness. When this goo forms inside your lines, it can’t be removed through normal spa water circulation, or regular cleaning. 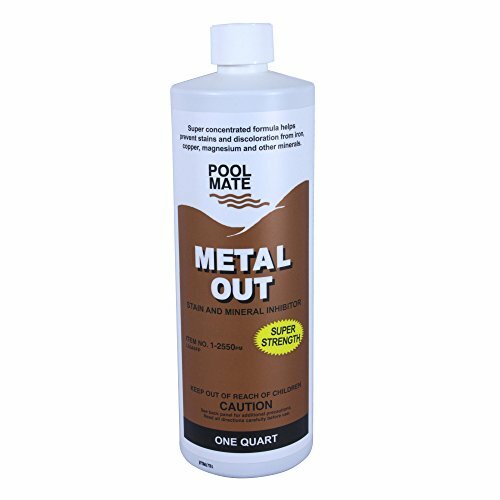 So the very first step in draining and cleaning your hot tub is to add a line flush product If you click this link and make a purchase, we earn a commission at no additional cost to you. . 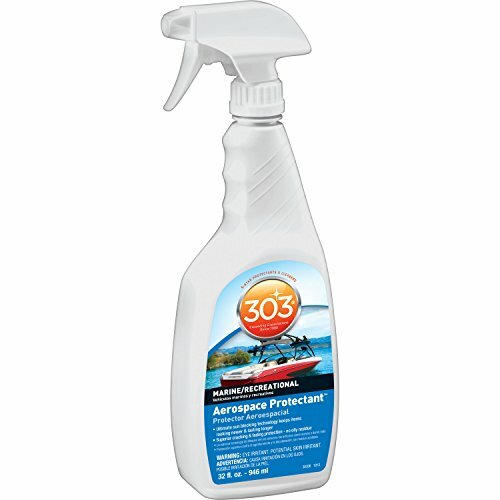 This special cleaner is formulated to break down biofilm. Once you’ve added it, let it circulate for a minimum of 20 minutes. 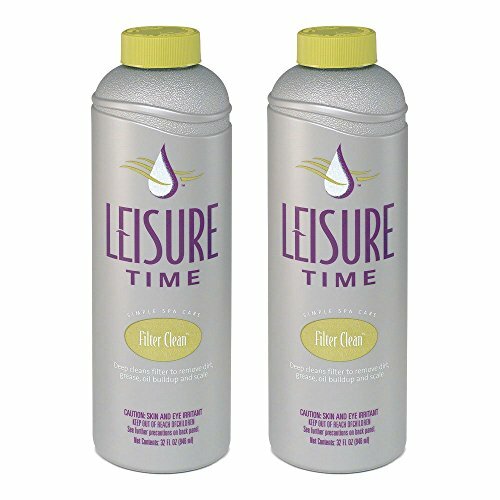 If this isn’t your first time cleaning your hot tub, but you haven’t been using a line flush, you can—and probably should—let the line flush product circulate for a few hours. Just be sure to check the product directions so you don’t overdo it. Line flush may cause gross-looking foam to form as it circulates through your spa. That just means it’s working. You’ll be draining and cleaning your hot tub next anyway, so don’t worry about the foam. The lowest-cost option for draining your hot tub is to connect a hose to the spa drain and allow gravity to work its magic on the water. This is also the most time consuming choice, usually taking hours to completely empty your spa. But that doesn’t have to be a bad thing. While waiting for your spa to drain, you can work on other things, such as cleaning your spa cover If you click this link and make a purchase, we earn a commission at no additional cost to you. and either replacing or cleaning the filter If you click this link and make a purchase, we earn a commission at no additional cost to you. . It also gives you time to move your hose so drained water doesn’t pool in one area, which you might want to do if you’ll be draining your spa water into your yard or garden. Important:Before you drain your spa, flip the hot tub breaker to cut all power and eliminate risk of electrical shock. Maybe you’re in a hurry, or you just don’t have the patience to wait on gravity. No problem. You can use a sump pump If you click this link and make a purchase, we earn a commission at no additional cost to you. 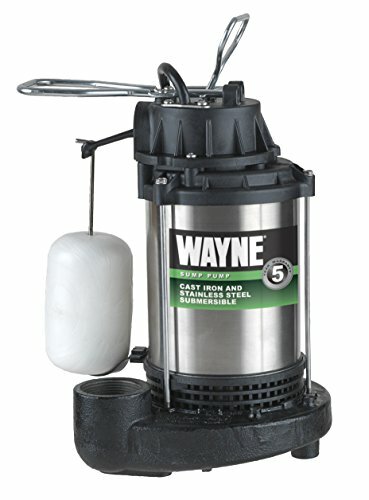 to empty your hot tub in minutes rather than hours. Open your spa drains at the same time, and empty the tub even more quickly. Because a sump pump will drain the hot tub quickly, plan to stay nearby to keep an eye on the water level. If the pump continues to run once the water is gone, it can burn up the motor, so turn off the pump as soon as it stops pumping water. Some pumps will get the water down to a fraction of an inch, while others will need to be shut off with a few inches of water remaining. Your hot tub drains will take care of the rest. A lot of cities have laws that require you to drain your hot tub water into the sewer system. Those cities typically provide sewer access through a special drain somewhere on your property. This is not to be confused with a storm drain, where you should never dispose of hot tub water because those drains lead to natural bodies of water. Drained spa water can harm fish and other wildlife. If you don’t have direct sewer access, you can run a hose into the drain in a utility sink in your home, or water your lawn or gardens with the old spa water, provided you’ve allowed chemical levels to dissipate. Plants don’t exactly thrive on chlorine. Important: Before you drain your hot tub, check your city’s ordinances to ensure you’re adhering to the law, and preventing any damage to the environment. Now that your hot tub is empty, you’re halfway to the finish line. Get ready to expend a little elbow grease. Just don’t get that grease in your spa. Ew. While the water is draining from your spa, you have plenty of time to clean your filter. A special filter cleaning spray If you click this link and make a purchase, we earn a commission at no additional cost to you. is the best bet for this job. Better yet, take a little more time and deep clean the filter. Grab a 5-gallon (20-litre) bucket If you click this link and make a purchase, we earn a commission at no additional cost to you. , and fill it nearly to the brim with water. Add the dose of hot tub filter soak If you click this link and make a purchase, we earn a commission at no additional cost to you. indicated in the product instructions, give the water a swish to dilute the cleaner, and submerge the filter. Leave it to soak for 24 hours, and then rinse it thoroughly with clean water. Any residual cleaner might cause foaming when you restart your spa, and then you’ll have to start this entire process over again. If you remove the filter, and it’s so dirty no amount of cleaner is going to make a difference, first, replace it If you click this link and make a purchase, we earn a commission at no additional cost to you. . Second, clean your filter more often! Once it’s empty, your spa is ready for surface cleaning. Spray your hot tub shell with hot tub cleaner If you click this link and make a purchase, we earn a commission at no additional cost to you. , diluted white vinegar If you click this link and make a purchase, we earn a commission at no additional cost to you. , or diluted bleach If you click this link and make a purchase, we earn a commission at no additional cost to you. . Pay special attention to nooks and crannies where mildew, algae, or bacteria could be hiding. Use a soft cloth If you click this link and make a purchase, we earn a commission at no additional cost to you. or non-scratch nylon scrubber If you click this link and make a purchase, we earn a commission at no additional cost to you. to remove residue. Rinse all the surfaces well, and drain all the rinse water to prevent foaming when you refill your spa. Double check that all your jets are open after you’ve finished cleaning and rinsing. This reduces the risk of water pressure problems from trapped air. Tip: If you’re using a hot tub cover, now is the perfect time to clean that, too If you click this link and make a purchase, we earn a commission at no additional cost to you. . And if you’re not, you’re losing money in both chemicals and energy costs, so get a cover. Ah, look at that squeaky clean hot tub. It’s so pretty, you almost don’t want to fill it back up, right? But it’s no fun to sit in an empty spa, so break out that hose If you click this link and make a purchase, we earn a commission at no additional cost to you. . Important: Before you start adding fresh water, double check to ensure the breaker is still off. Better safe than sorry. Also, be sure to close the drains and remove your sump pump—unless the way you choose to enjoy your spa is by draining and refilling it endlessly, forever. 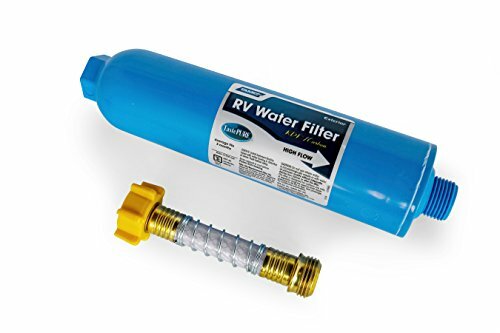 Tip: When refilling your hot tub, use a hose filter If you click this link and make a purchase, we earn a commission at no additional cost to you. to reduce impurities such as calcium and copper that may affect your water chemistry and overall spa health. You’ll start out with higher quality water in your spa and reduce the risk of staining. Insert your hose into the filter compartment, then begin filling your spa. This helps to force any trapped air out of your circulation system, preventing hot tub air lock. Avoid overfilling as it may cause serious problems, such as backflow into your heater, when you start up your spa. If you do accidentally overfill, drain the excess water immediately. Turn your spa breaker back on. Start up your hot tub. Allow the water to circulate and heat up to at least 80°F (27°C). Be sure to turn off air valves if you have them, so they don’t disrupt chemical distribution. Add a metal sequestrant If you click this link and make a purchase, we earn a commission at no additional cost to you. , if you choose. This is especially important if you have hard water or well water, to help prevent stains in your spa. Using the hose filter reduces the risk of stains, but if you’ve had staining problems in the past, it’s worth adding a dose of sequestrant during refills. Test the water If you click this link and make a purchase, we earn a commission at no additional cost to you. . Adjust pH, alkalinity, and calcium hardness if necessary. Cover your spa for 24 hours to let the water warm up and the chemicals circulate. Retest the water when the spa reaches 100°F (38°C). Add sanitizer if necessary. You probably won’t need to adjust anything else at this point. Testing again just lets you confirm the water is balanced before anyone uses the spa. In the meantime, you can relax and enjoy your squeaky clean tub full of sparkling, clear water.